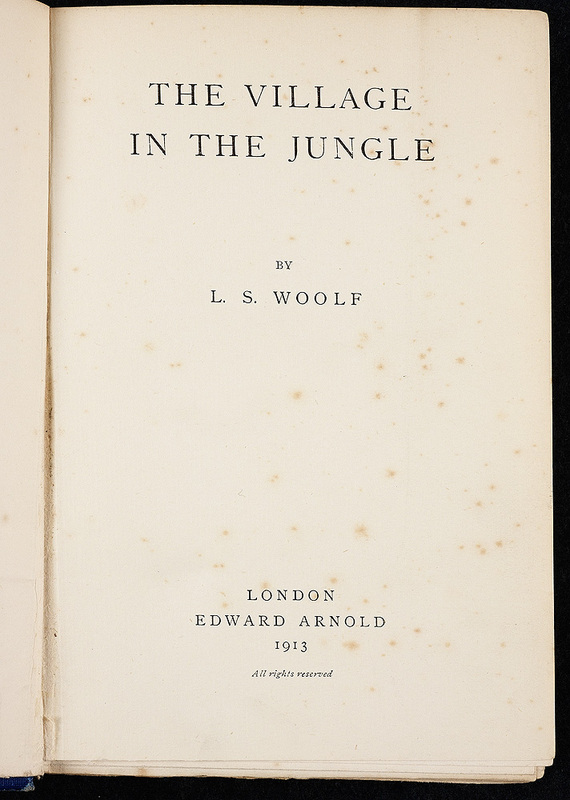 Leonard Woolf based his novel on his experiences as a colonial administrator in Ceylon (Sri Lanka) from 1904 to 1911. It is told from the point of view of the Sinhalese characters, and is a tragedy about the decay and destruction of their village. Even though Woolf was a successful administrator, he came to hate imperialism. He returned to England in 1911 and married Virginia Stephen in 1912. While they were courting, Leonard and Virginia wrote their first novels and dedicated them to each other. 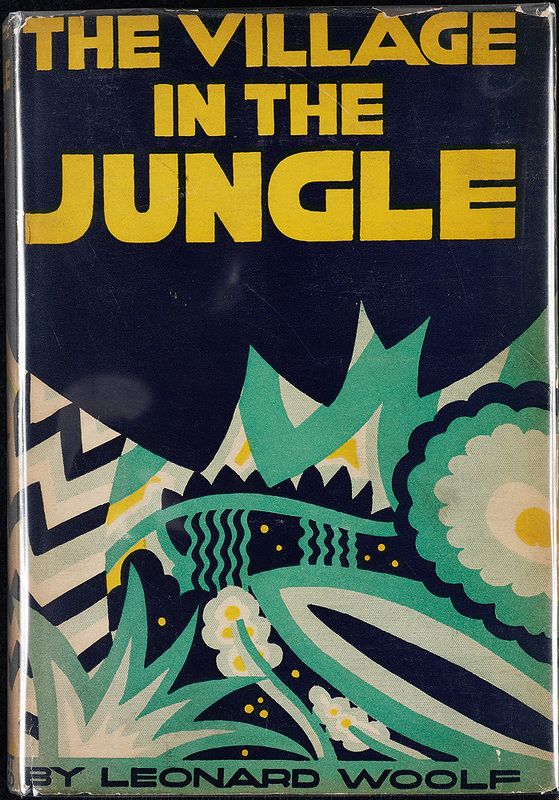 Leonard turned to journalism and editing after this novel was published. Leonard Woolf. The Village in the Jungle. New York: Harcourt, Brace and Company, 1926. Dust jacket designed by Winold Reiss. Leonard Woolf. The Village in the Jungle. 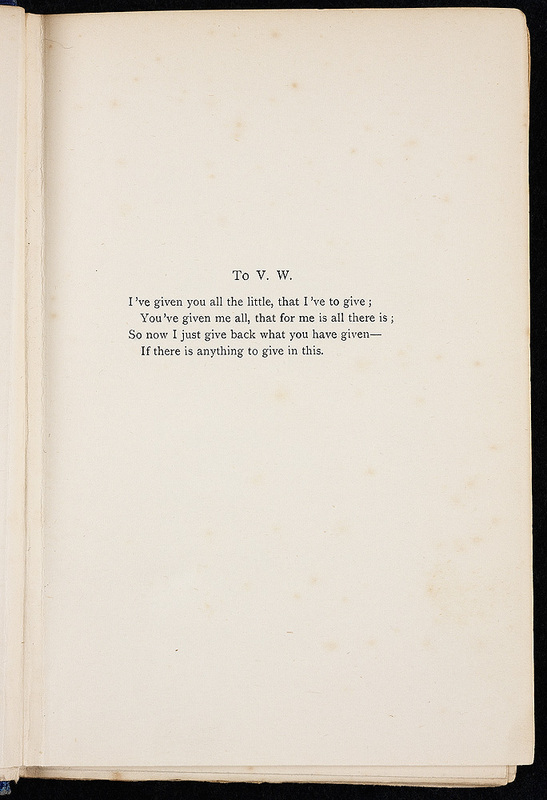 Title page and dedication. London: Edward Arnold, 1913.